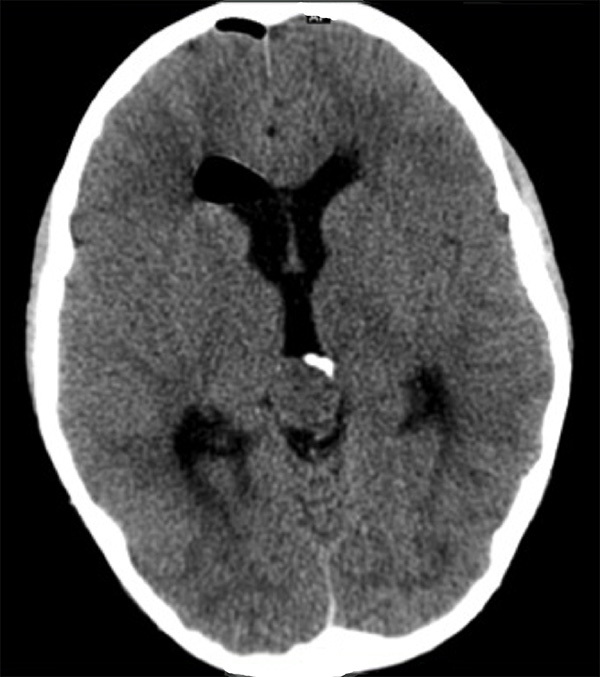 The initial evaluation should include a full patient history and physical examination with a complete neurological examination, detailing neurological deficits or evidence of increased ICP, as these patients may require prompt or even emergent intervention. Ocular findings: Papilledema, decreased visual acuity, abnormal pupillary responses, and external ocular movement palsy can be present with pineal region tumors. In severe cases of hydrocephalus, patients may present with sunsetting eyes. 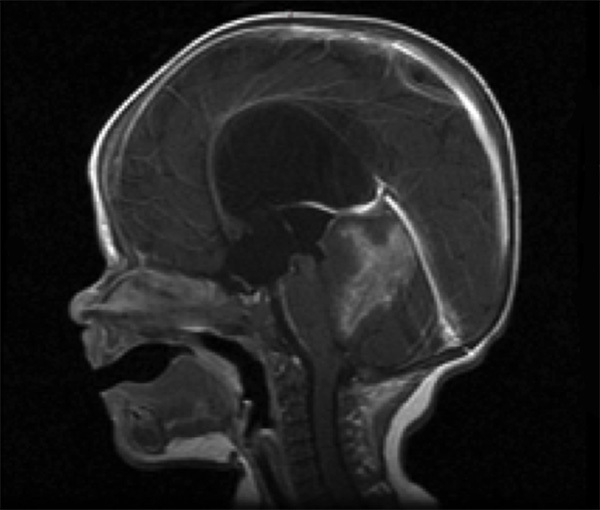 Parinaud’s syndrome is a pathognomonic sign and is present in 50–70% of patients with pineal region tumors (30). Parinaud’s syndrome includes upward gaze palsy with impaired convergence, nystagmus retractorius, eyelid retraction (Collier’s sign), and light-near dissociation (pseudo Argyll-Robertson pupil), where pupils are dilated and respond poorly to light but may respond to accommodation. Patients with Parinaud’s syndrome and sudden sunsetting phenomenon with decreased mental status may be experiencing hemorrhage into the pineal tumor (pineal apoplexy). Gait ataxia: Ataxia can be present when hydrocephalus is advanced. Altered mental status or decreased level of consciousness: Elevated ICP and/or direct compression of the midbrain can result in an alteration in the level of consciousness. Focal motor or sensory deficits: These are rare but may be seen in cases of spinal dissemination. Laboratory studies, including a basic metabolic panel, complete blood count, and coagulation studies are generally done. Testing for serum and CSF tumor markers is an important component in the diagnosis and management of tumors of the pineal region. AFP: AFP is a glycoprotein normally produced by the fetal yolk sac and liver, with normal levels less than 5 ng/ml after birth and a biological half-life of 5 days. Endodermal sinus tumors (yolk sac tumors), embryonal carcinomas, and teratomas produce AFP, which is detectable at levels of 1000ng/ml or more in the serum and CSF (70). β-HCG: β-HCG is a glycoprotein normally secreted by syncytiotrophoblastic giant cells of placental trophoblasts. The normal value in serum and CSF is less than 5 mIU/ml. β-HCG has a biological half-life of less than 24 hours. Elevated serum β-HCG levels of 2000 mIU/ml or greater may be seen in patients with choriocarcinomas, while elevations less than 700 mIU/ml can be detected in patients with germinomas and embryonal carcinomas. AFP and β-HCG are specific for malignant germ cell elements and should be measured in all patients with pineal region and germ cell tumors (70). Placental alkaline phosphatase: Serum and CSF levels of PLAP may be elevated in primary intracranial germinoma but are not specific (70). The proto-oncogene c-kit is expressed on the surface of germinoma cells, while the soluble form of the c-kit receptor is significantly elevated in the CSF of patients with germinomas (86). This test is not widely available. CSF cytology: CSF cytology should also be analyzed as part of the evaluation of patients with pineal region tumors. The frequency of CSF dissemination among malignant germ cell tumors varies from 3–56% (80). Pineoblastomas have the highest likelihood of CSF dissemination, with 50% disseminated at diagnosis and almost 100% at the terminal stage of disease (32, 80). Cranial imaging, including head CT and MRI of the brain with and without contrast, should be performed to diagnose the tumor and characterize obstruction of CSF pathways. MRI of the spine should also be performed for tumor staging. Hemorrhage and calcification: CT scan of the head is superior to MRI for visualization of pineal tumor hemorrhage and calcification. The incidence of calcification of the pineal gland increases with age and may be found in up to 40% of the adult population, whereas calcification in children younger than 6 years is abnormal and should be evaluated for the presence of neoplasia (52, 90, 100). 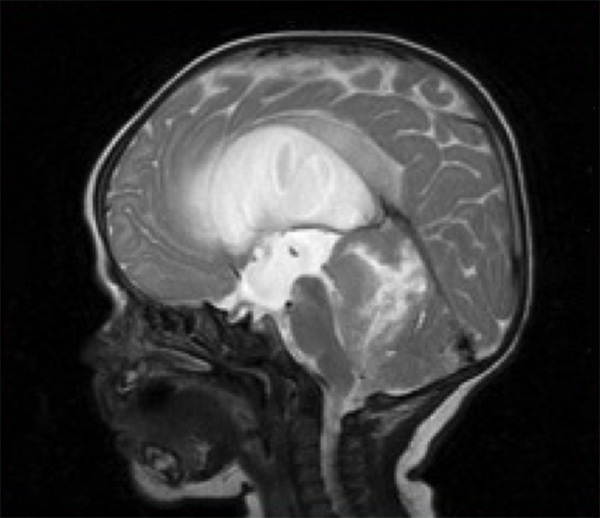 Germinomas: On CT scan, germinomas appear hyperdense to surrounding brain tissue. Calcification is common and may be detected centrally or displaced peripherally within the tumor mass. Homogeneous enhancement is seen with contrast administration. 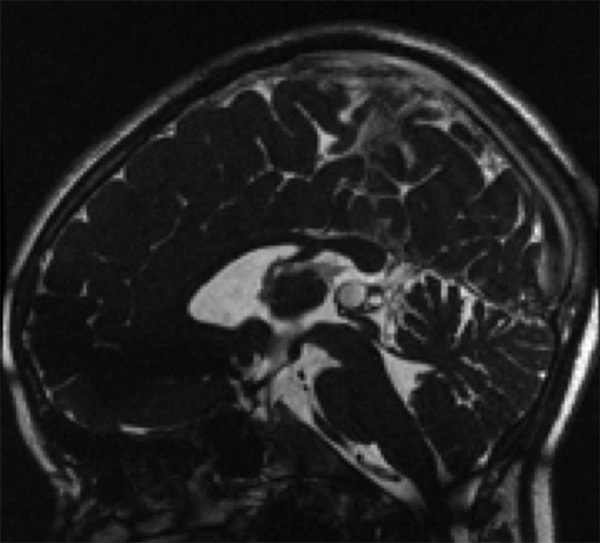 Teratomas: Teratomas have a heterogeneous appearance on CT scan and are typically composed of solid and cystic regions of varying density and enhancement patterns. Regions of dense calcification may be noted. Choriocarcinoma / NGGCTs: Choriocarcinomas and other NGGCTs have a heterogeneous appearance with multiple foci of hyperdensity on CT scan due to calcification and hemorrhage. These tumors demonstrate solid and cystic components with variable with enhancement patterns on CT scan and MRI. 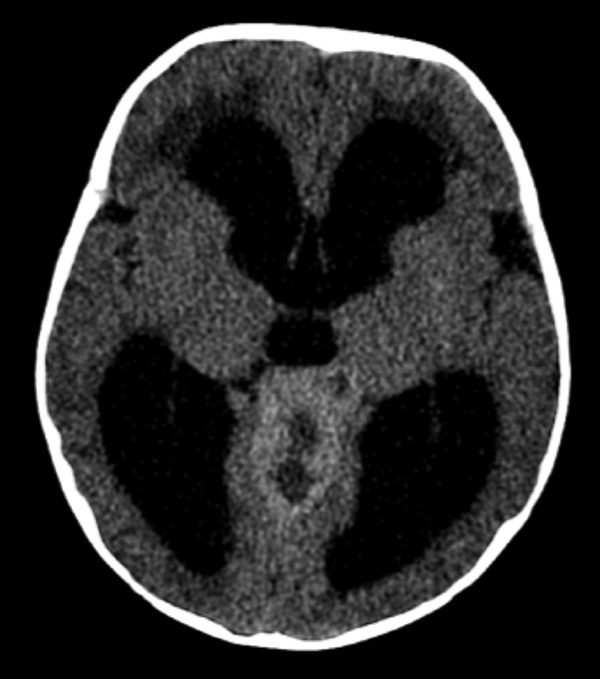 Pineoblastomas and pineocytomas: Pineoblastomas have a homogeneous, hyperdense appearance on precontrast CT scan. Calcification is rare, but, when present, is typically dispersed throughout the tumor. Pineocytomas tend to be well demarcated and have a more heterogeneous appearance with possible cystic components. Variable enhancement patterns are seen with contrast administration. 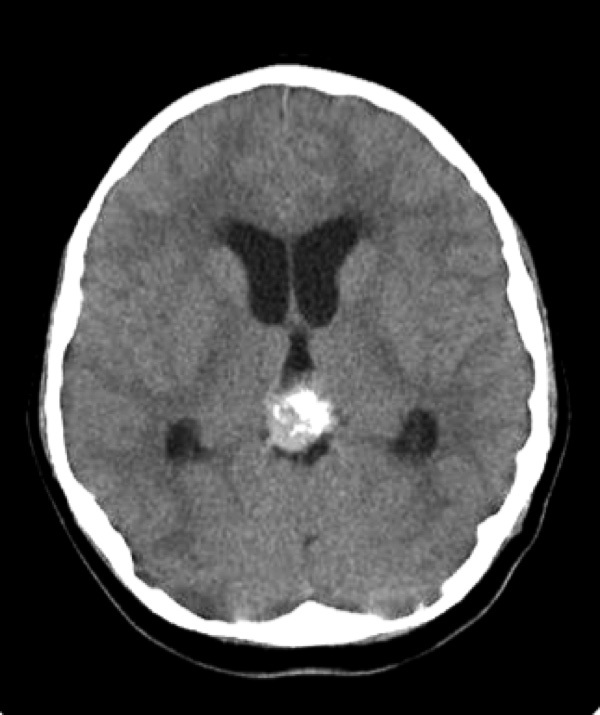 Hemorrhage and necrosis are more commonly found in pineoblastomas than in pineocytomas. Astrocytomas of pineal region: Benign astrocytomas of the pineal region are hypodense relative to surrounding brain tissue on precontrast CT imaging with minimal enhancement on postcontrast studies. Tumor margins may be ill defined or well demarcated, depending on tumor origin. Cystic regions may also be present. 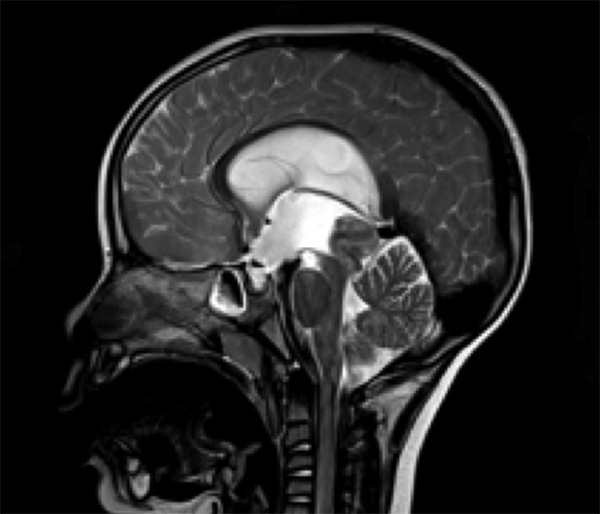 Pineal cysts: Non-neoplastic cysts of the pineal region can be detected on CT and MRI scans. They are typically round with a well-demarcated border and homogeneous contents that may appear iso- or hyperintense to CSF. Anatomical analysis of tumor: MRI of the brain is more effective than CT for characterizing tumor location and extension and is useful for determining tumor origin and the presence of tumor multiplicity or dissemination. 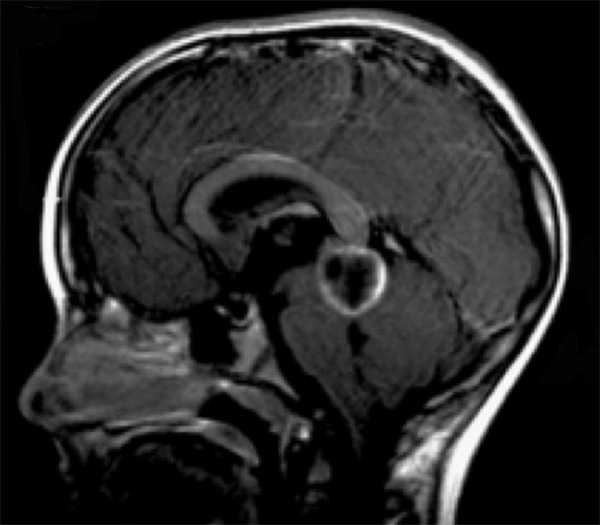 Location point of CSF obstruction: In cases of hydrocephalus, the site of CSF pathway obstruction is typically more evident on MRI. 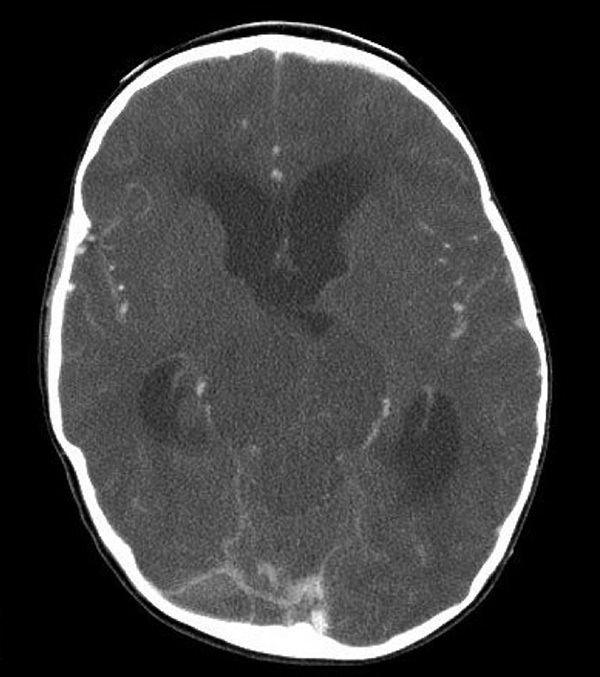 Concurrent posterior and anterior third ventricle lesions are not uncommon, and one should look for a potential second lesion. Germinomas: On MRI, germinomas exhibit low-signal intensity to isointensity on T1-weighted imaging, and iso- to hyperintensity on T2-weighted images. Germinomas demonstrate intense contrast enhancement with gadolinium administration. Teratomas: On MRI, teratomas are heterogeneous with cystic and lipid components in a honeycomb-like appearance. Due to high protein and lipid content, teratomas exhibit a hyperintense signal on both T1- and T2-weighted imaging. Teratomas exhibit variable enhancement with gadolinium administration and may have associated peritumoral edema. Choriocarcinomas/ NGGCTs: On MRI, NGGCTs demonstrate variable signal intensity due to hemorrhage and infiltrating, ill-defined borders. 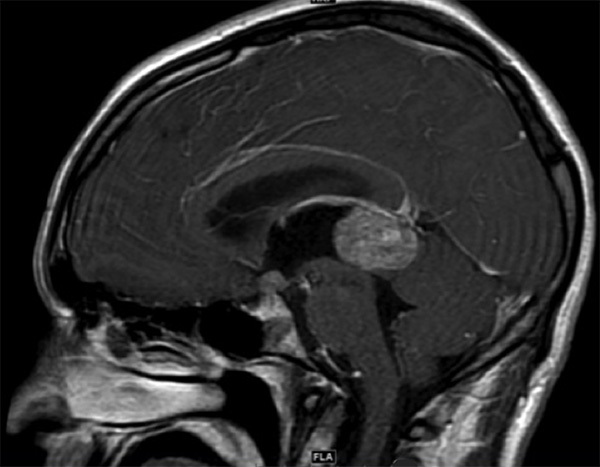 Tumor architecture is best viewed on T2-weighted MRI, which shows heterogeneous hypo- and hyperintense regions. Foci of hyperintensity on T1-weighted imaging and hypointensity on T2-weighted imaging correspond to intratumoral blood products. 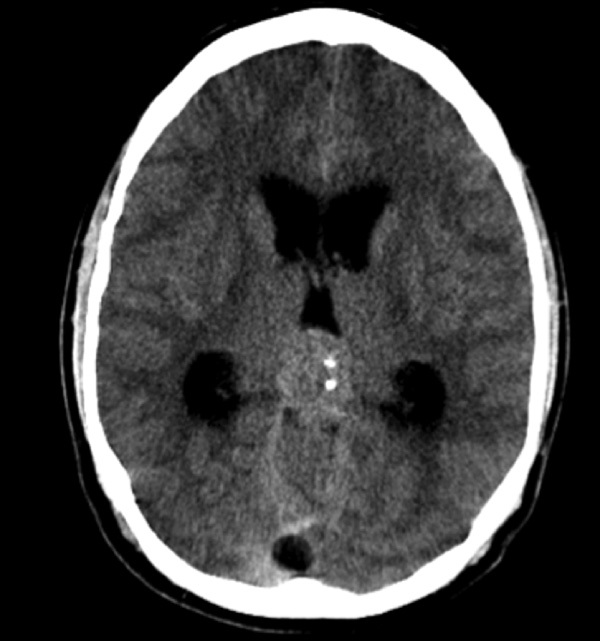 As with CT scans, these images will show a variable enhancement pattern. 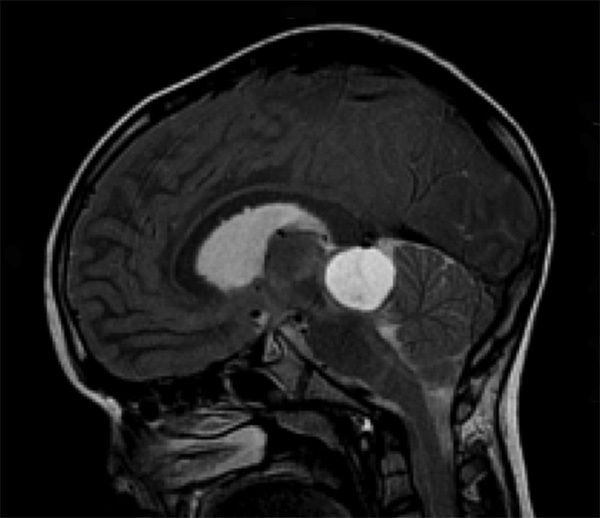 Pineoblastomas and pineocytomas: On MRI, primary parenchymal pineal tumors have a varied appearance. In general, they are multilobulated solid lesions with dense contrast enhancement. Pineoblastomas may be hypo- or isointense on T1-weighted imaging, and hyperintense on T2-weighted imaging. Perilesional edema and tumor infiltration may be seen. Pineocytomas are better defined and have relatively higher signal intensity on T2-weighted imaging than pineoblastomas. Astrocytomas of pineal region: Pineal region astrocytomas typically originate from brain parenchyma in close proximity to the pineal gland, such as the tectal plate or posterior thalamus. 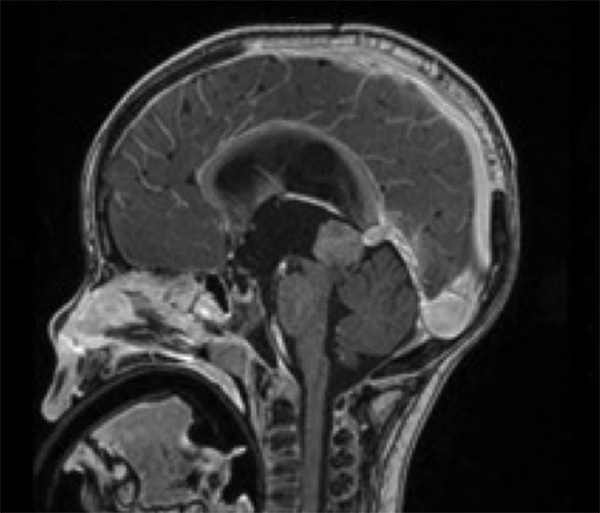 Tectal gliomas are typically low grade and enlarge the tectum, with possible aqueductal obstruction. 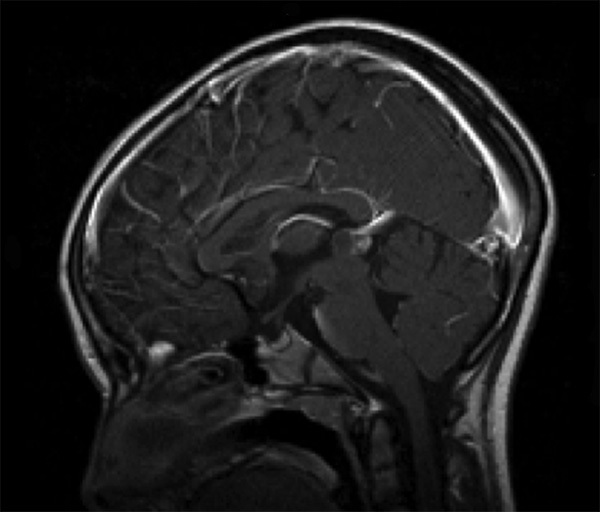 Gliomas arising from the thalamus or corpus callosum tend to be higher grade. Contrast enhancement is variable on CT and MRI. 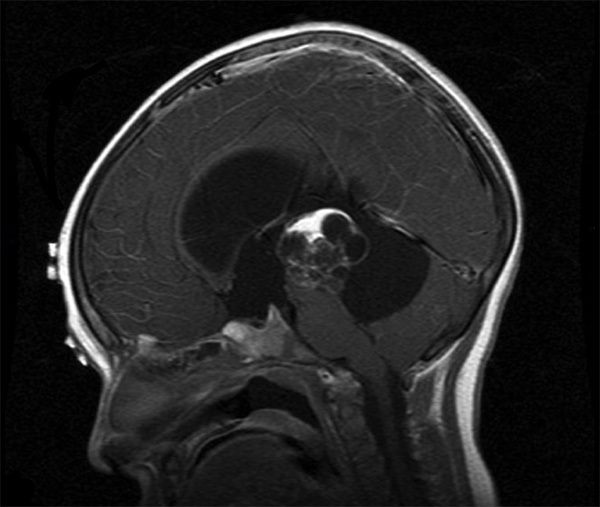 Pineal cysts: On MRI non-neoplastic cysts of the pineal gland typically are round with a well-demarcated border. The cyst’s contents are homogeneous and appear iso- or hyperintense to CSF. Normal surrounding pineal gland will enhance with gadolinium administration, but pineal cysts typically do not enhance.